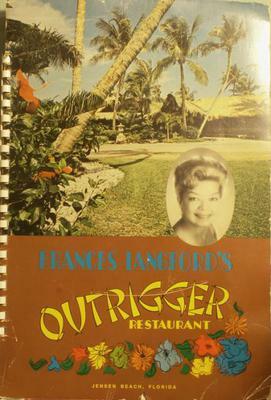 During the months I was there, I visited Frances Langford's Outrigger Resort in Jensen Beach many times for dinner. I got to know Frances and her husband, Ralph Evinrude. They were very nice people. She was born in Hernando, Florida in 1913 and raised in Mulberry, near Lakeland. She graduated from Lakeland High School and studied music at Florida Southern College. 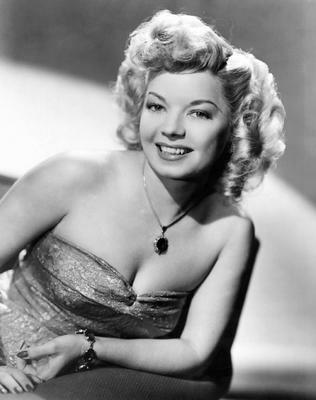 She became a star at an early age and was a regular singer on the Rudy Vallee radio show. She also performed in Broadway musicals, and from 1946 to 1951 she starred with Don Ameche as the nagging wife, Blanche, on the popular radio show "The Bickersons". She was married for 21 years to actor Jon Hall, who was most famous for his role as "Ramar of the Jungle". 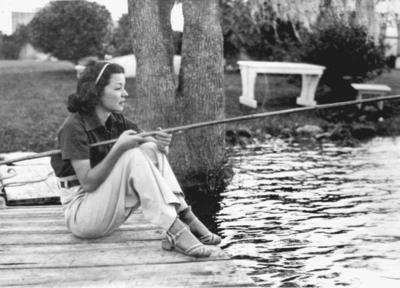 When her Hollywood film career ended, she married outboard motor tycooon Ralph Evinrude and they lived on her estate in Jensen Beach. She always loved boating and fishing and Ralph was the right man for her at the right time. Their 110 foot yacht "Chanticleer" was kept in the marina at the Outrigger resort, and many motel and restaurant guests were invited to tour the yacht. Frances died at her Jensen Beach home at age 92. She was cremated and her ashes scattered off the coast near Jensen Beach.